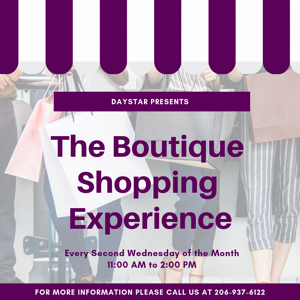 To RSVP for an event use the RSVP Form at the bottom of this page, or call (206) 937-6122. Download our Weekly Calendar or Monthly Calendar. Shop over 20 local vendors and enjoy a day of fun and great finds! 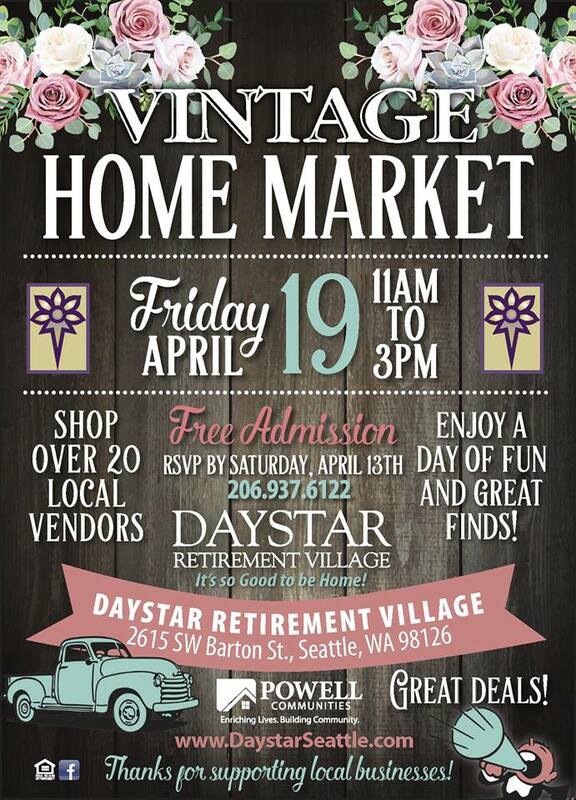 Join us for free admission at Daystar Retirement Village. Enjoy a day of fun and great finds! RSVP by Saturday, April 13th (206) 937-6122.